Schaff SPINET / CONSOLE Piano Dolly. - Made in the USA. Designed specifically for permanent installation of Spinet & Console pianos that have 'free standing' front legs. Tubular Steel construction with Rubber Bumpers to protect the piano finish. Adjustments to fit the individual piano are easily and quickly made. The design of each truck affords complete protection and support to the piano legs and no strain is placed on them as the piano is rolled about. 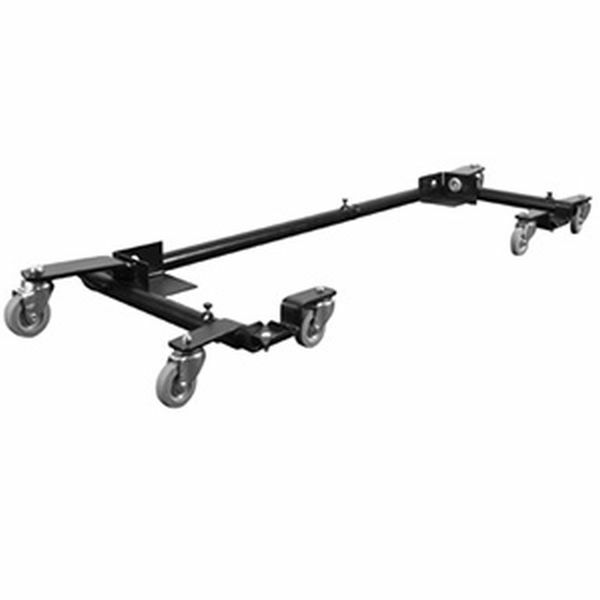 Easy quiet mobility is assured by the use of full ball-bearing, swivel casters with rubber tired wheels... large enough to roll easily while raising the piano only 2-1/8" off the floor so there is no interference with the pedals. The front four casters are 3" and the two back casters are 3-1/4". The ordering process was very clear and the lady who assisted me patiently answered all my questions. The only hitch was that the company doesn't take the Discover card but the work-around was through PayPal. The item was delivered promptly with no damage to either the container or the item. The assembly was simple and two of us installed the dolly in about 40 minutes. We're very satisfied. I am pleased to say that working with your firm has been a pleasure. The Customer Service Rep provided me with concise accurate information for me to pass on to the end user for selecting the appropriate piano dolly. Easy ordering, quick shipment, product works great! 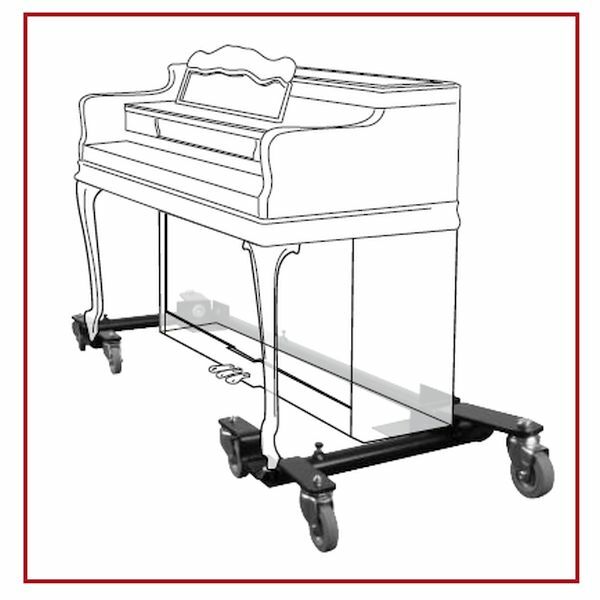 Ordering was easily accomplished online, with ample information to determine if the piano dolly would work with the piano we had in mind. The price for it was very reasonable. The box that the dolly was delivered in was in bad shape upon arrival, with the dolly poking out in numerous locations, however the dolly itself was intact and not damaged. I would shop with you again in the future. Order process was simple. Product was delivered on time. Package damaged on one end but product was not damaged. Maybe a little sturdier packaging material would help. Satisfied with purchase and product. Our responseHello Jack; So glad you're happy with your Dolly. We do use study packaging, however, it's unfortunate that we have no control over how UPS throws the boxes around. Good to hear that it wasn't damaged.